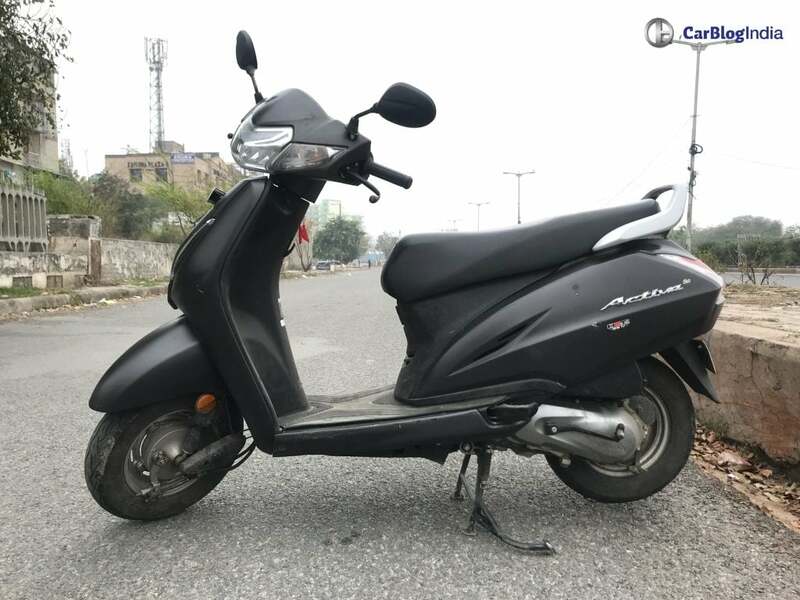 Honda Activa 5G is most of the buyer’s first choice or actually, the first thought that comes. After Kinetic DX, it has really redefined the automatic scooter scenario in India. Launched back in the early 2000s, it came for the masses who wanted a ride for their daily local travelling. Originally, scooters were launched for the purpose of female riders, who at that time, did not take up to the bikes. The new 5th generation Activa made debut at the 2018 Auto Expo. Addition of the new features added up to its sales more than ever. Probably, till the time Activa is there in the market, it will remain unbeaten in sales. So, we put the scooter to our use for a couple of days, to get some points. 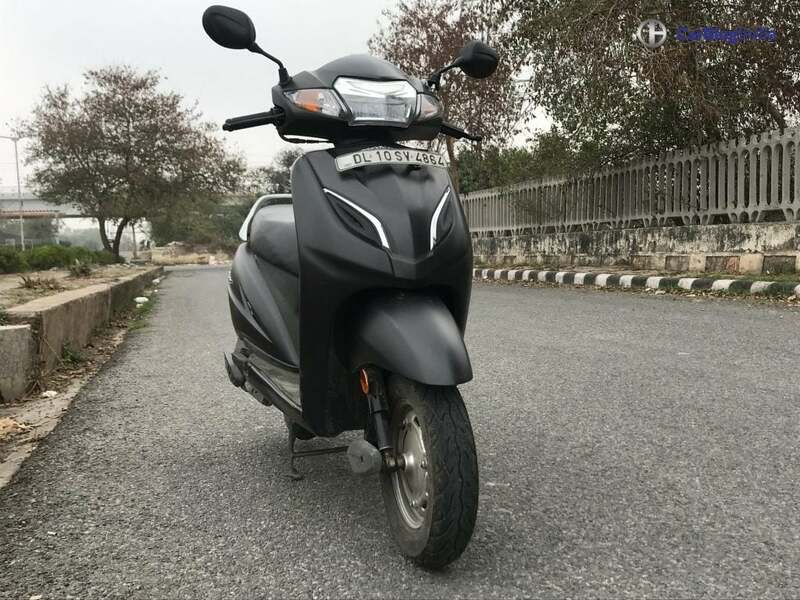 Check out our extensive road test review with Pros and Cons of the Honda Activa 5G. 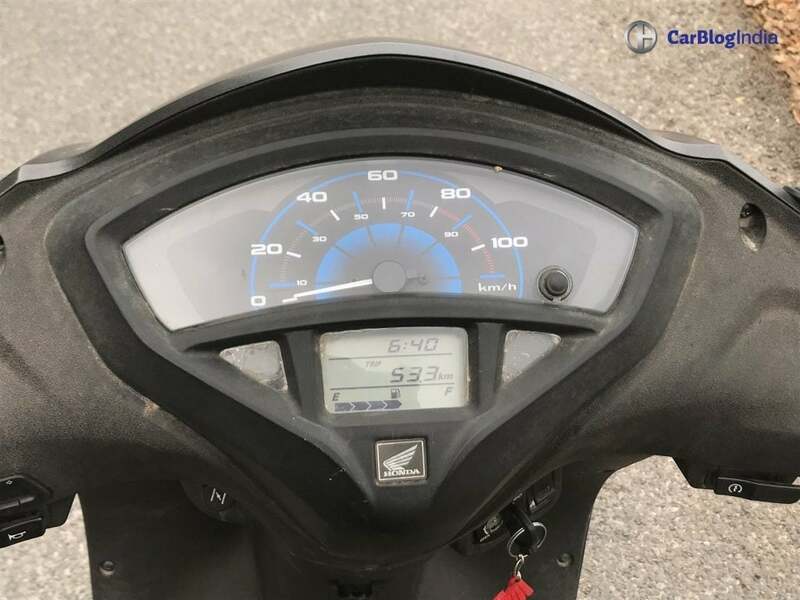 Honda Activa is one of the best mileage delivering scooter in its segment. During our daily commute, it delivered around 53 kmpl, while driving within the Econometer. If driven aggressively with high revs and sudden braking, the average comes down to 45-47 kmpl. Till the time, the scooter is used for local riding in the 10 km range, you needn’t worry about refuelling the tank often. With a 5.3 litre fuel tank capacity, the scooter could offer a riding range of nearing 250 kms. 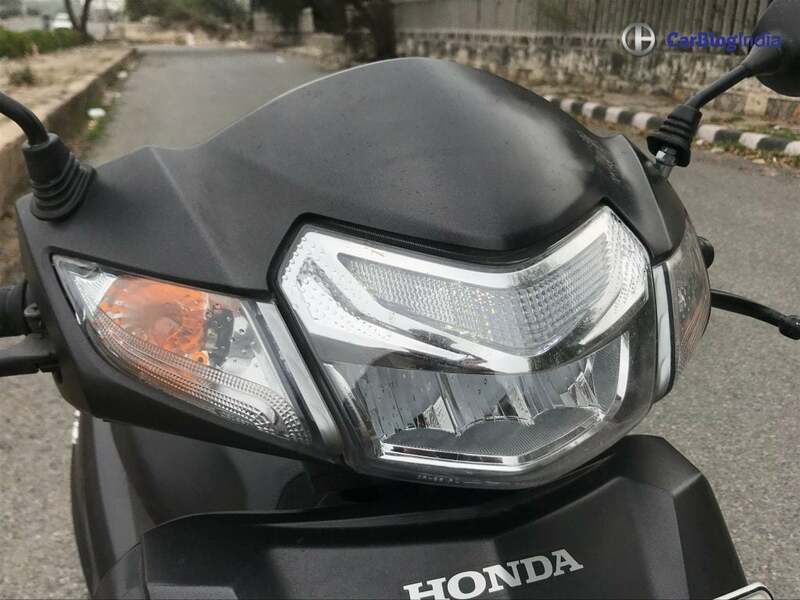 Catering to a wide range of buyers including senior citizens, women and 18-year olds, Honda has ensured that it is easy to ride for everyone. Activa offers a nimble handling, easy to pull it back from your parking spot and easy to run through heavy traffic. At a kerb weight of 109 kgs, it is still comparatively light to ride. 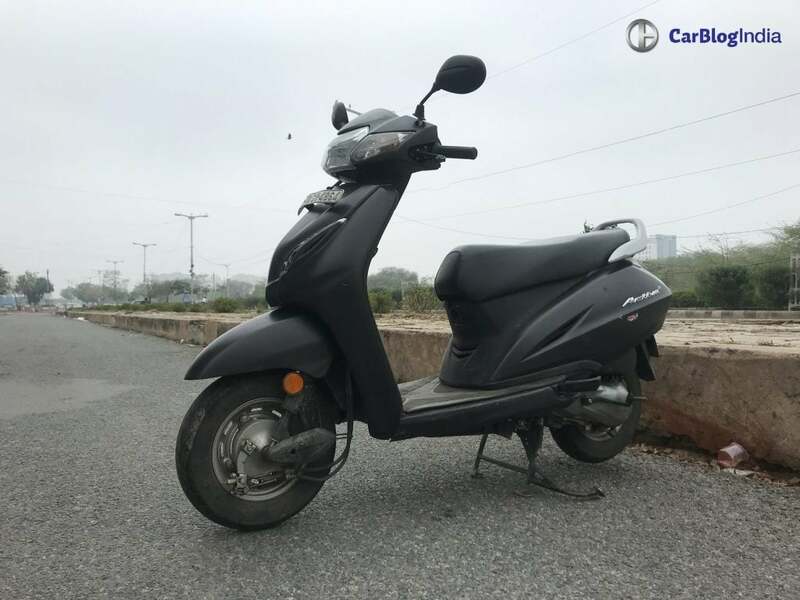 Another buyer/rider focused advantage of Honda Activa is that is comfortable enough. The seat is long and cushioned to accommodate Two fully grown adults. The footboard is big enough, to fit a full face helmet on it. Full points for a family-aimed scooter. The new Honda Activa 5G has been equipped with some premium features, that raise its bar from the earlier generations. Never has been any Activa equipped with more than basic features. The latest-gen offers features such as full LED headlamps, USB charging port. 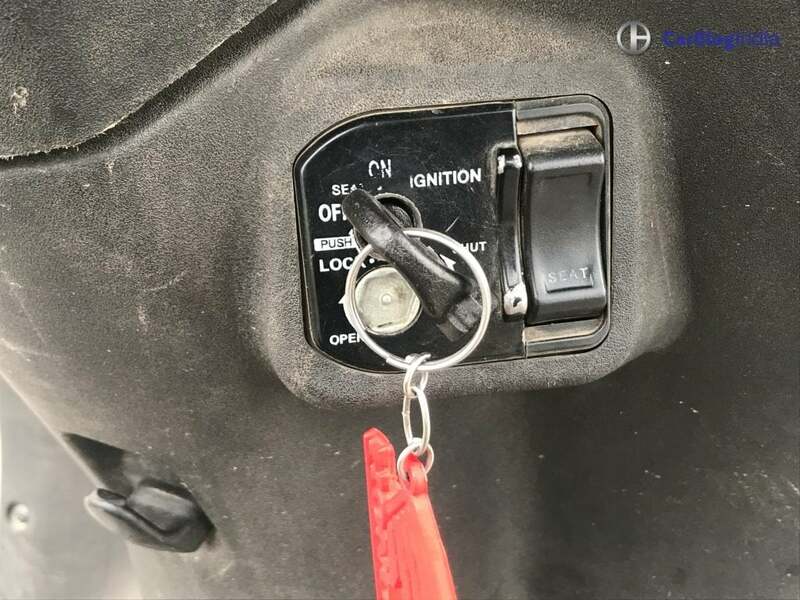 4-in-1 lock with a seat opening switch, Digital Analog meter, Service due indicator, Two baggage hooks at the front and Economy Speed indicator. Most importantly, it comes with a full metal body which makes it sturdy. Other Honda scooters get fibre-plastic bodies. Honda Two Wheelers India has the most reliable sales and service network across the country. The servicing costs are considerably low. Importantly, in case of emergencies, any local mechanic is able to repair the scooter to get it running. 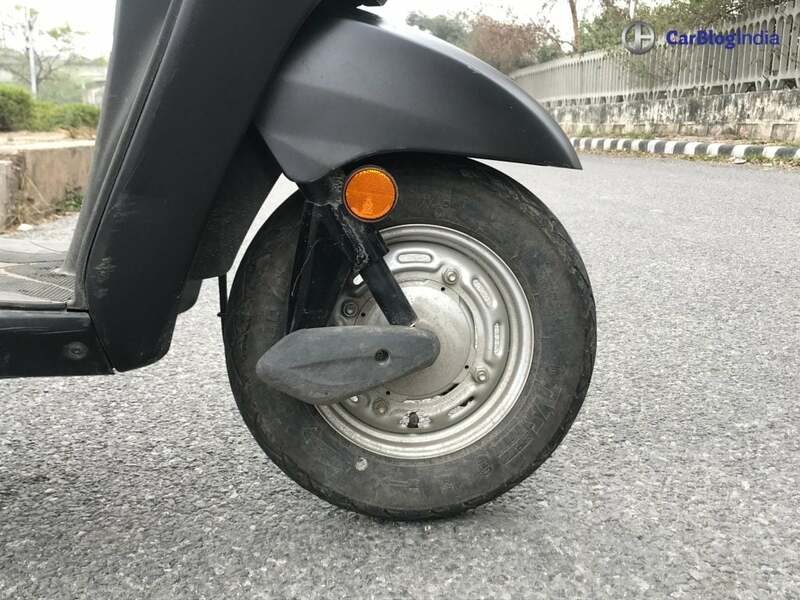 Also, with its clic mechanism, the rear body of the scooter is easy to be taken off. Honda Activa 5G is priced at Rs 54206 for the STD variant and Rs 56071 for the DLX variant. The on-road prices of the DLX variant go up to Rs 63,000 – Rs64,000. Still a lot cheaper than many 110cc scooters. In terms of competition, actually, there is none. 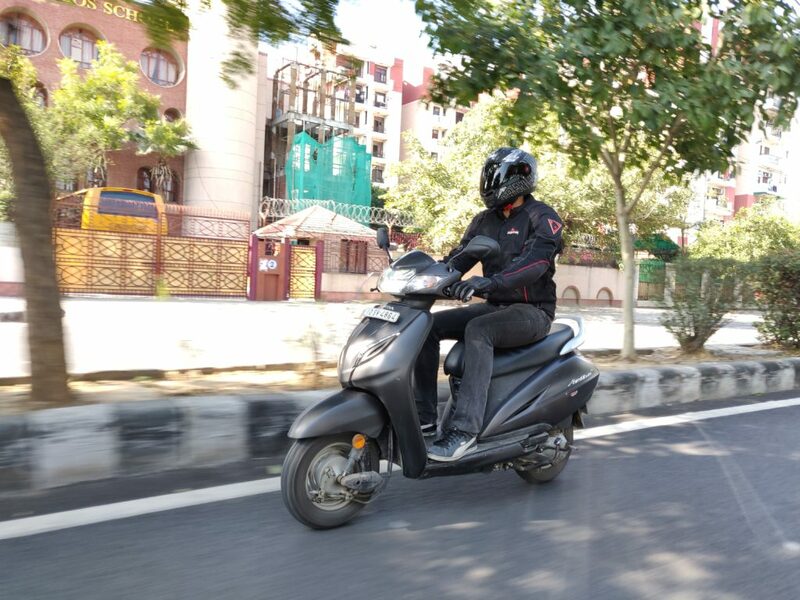 Activa is the best selling scooter in India, with monthly sales ranging between 1.5 Lakh to 2 Lakh units. Its nearest competitors include TVS Jupiter and Suzuki Access 125, which make 3 times lesser sales than Activa. 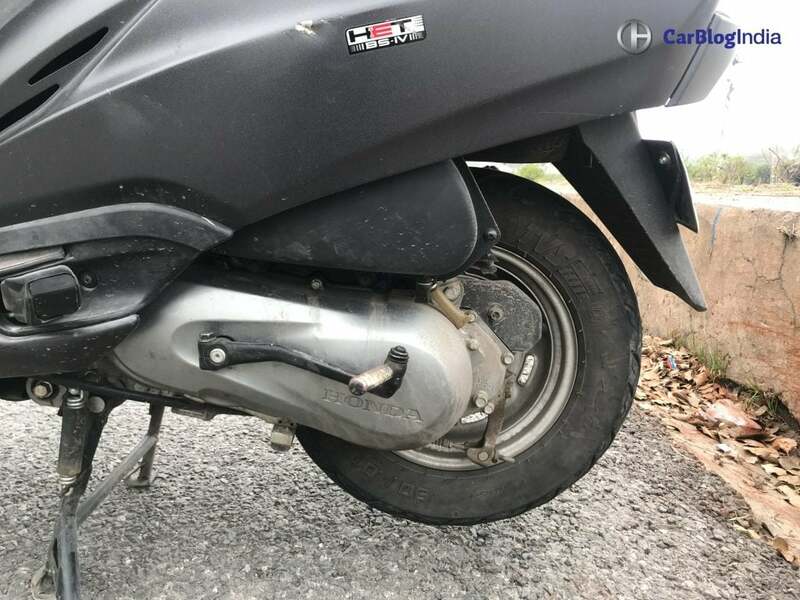 Activa gets Spring loaded hydraulic type suspension at the front and back as well, and not the regular telescopic forks. As a result, the suspension setup is stiff and bad jerks are felt even on the smallest of potholes. This setup comes as a cost saving equipment. At the front or the rear, wherever you sit, heavy jerks will be felt and probably a large pothole might even shake you up. A plain design without any styling cues are usually favoured by family buyers. For the liking of a younger generation, the design is too-too plain. Just a bit of chrome garnishing is what you get as styling bit. Moreover, the same design has been carried over from generations, every generation getting a very mild update. We expect the next generation to offer a more jazzed up variant in the lineup, even if it is optional. Yes, we know that we cannot expect much from a scooter. Honda Activa gets a 109cc engine, that is good for daily use but not long commutes. The acceleration is linear, not instantaneous. Somewhat good, somewhat not. Cold Startups are a daily occurence and for the next 5-6 kms, the engine shows a severe lag in the acceleration. Throttle it fully and it will take time to reach the desired speed. In the mornings, I had to switch on the engine and keep it idle for a minute or two, for an apt performance. Nevertheless, it is not meant for performance, so this point is not exactly a deal breaker for the target customer. Cross 60 km/hr and it would wobble up a lot. Its best range is between 40-60 km/hr, where it is stable, gives a decent mileage and does not create a loud exhaust note. Many times when a fast moving vehicle, even a motorcycle, passes Activa closely, it would wobble up. On the highways this can actually turn out less safer. Summing, up Honda Activa is meant for the masses. It is meant for you to do grocery shopping, ride up to a nearby destination in the 10-15 km radius and that’s it. Cannot expect more, because its not meant for that purpose. This scooter actually sums up to be a fairly put product and even affordable for the masses. Importantly, it will serve you well for a long time, and can actually put it to use for at least 7-8 years.